I don't know about you, but homemade Christmas ornaments are my VERY FAVORITE ornaments. We have a colored lights tree with multiple homemade ornaments (both from previous students and my own children) and each one is so special. Anything with a handprint or a footprint is a BONUS for me! 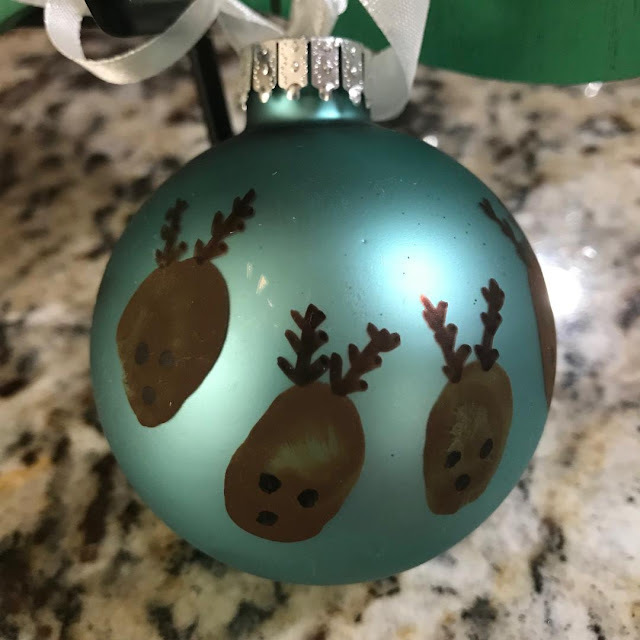 These reindeer ornaments are oh so cute and probably my favorite ornament of all! I made several of these six years ago with my son and it is still in perfect condition! We use brown construction paper or cardstock paper as a background. 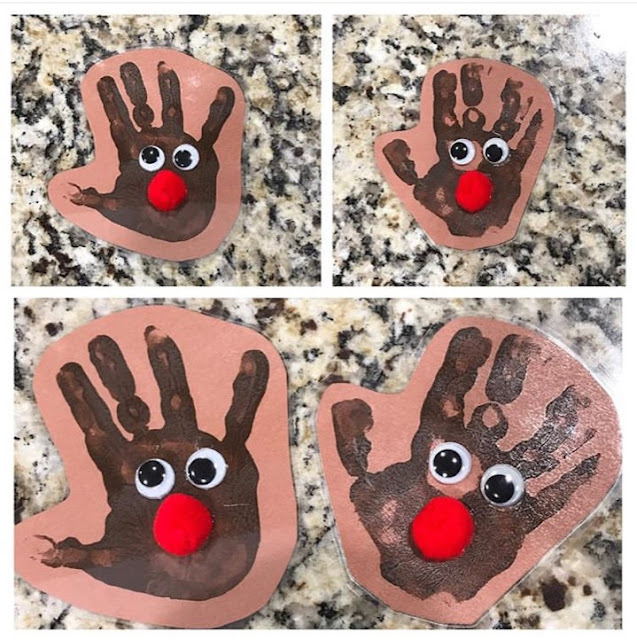 Use dark brown paint for the handprint and allow time to dry. We have a personal laminator at home (BEST purchase ever!) so I laminated them once they were dry. Use hot glue to add google eyes and a red pom pom for a nose! I also like to pick up ornament kits from the Dollar Tree. This set came with 12 foam trees and 3D stickers. The ornaments and stars were GREAT for working on fine motor skills! 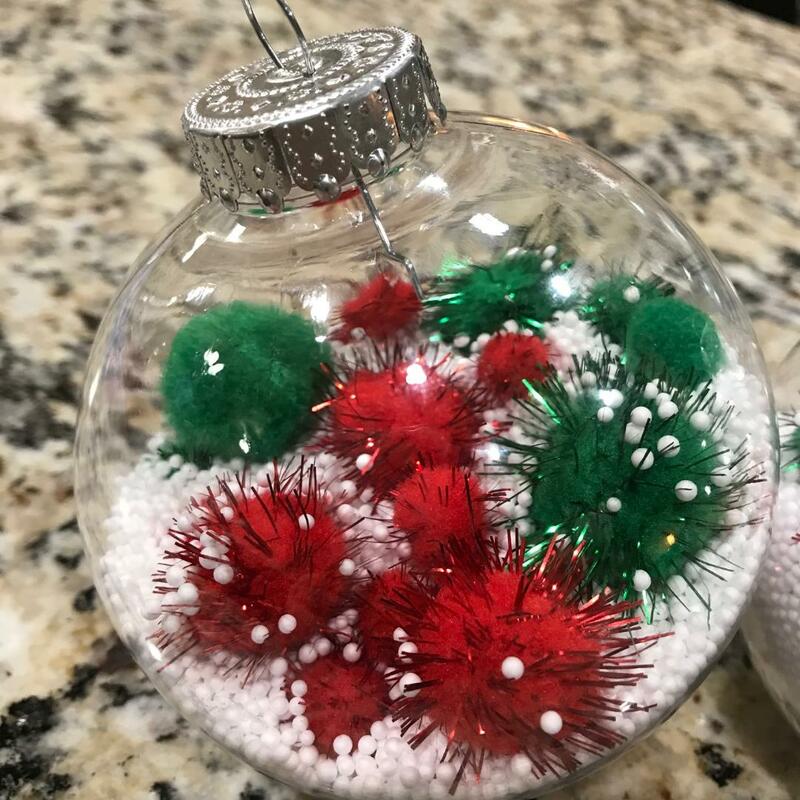 I picked up these plastic ornaments at the Dollar Tree, as well as the snow and pom poms. 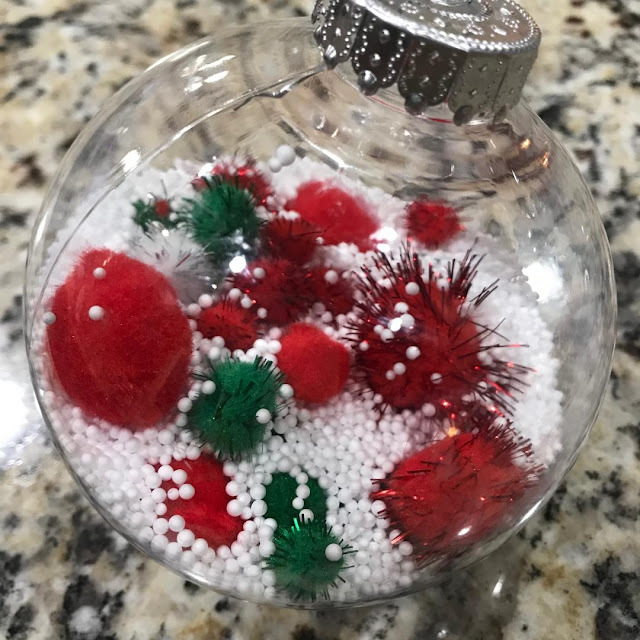 I put the snow in the ornaments and then let my littles put whatever they wanted inside! 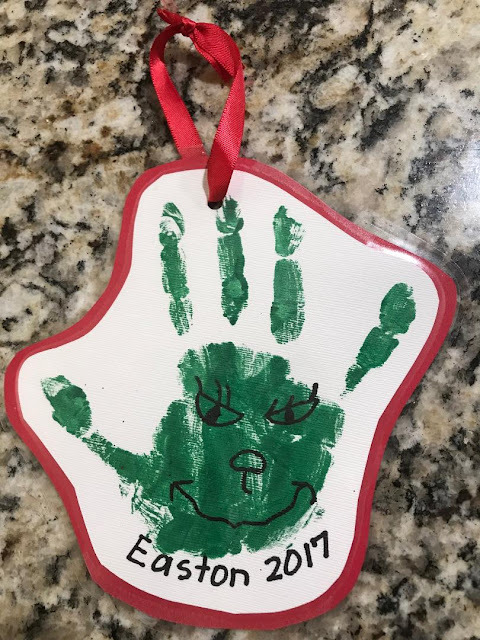 How the Grinch Stole Christmas is my favorite Christmas movie, so we just had to create a Grinch handprint ornament! This was so easy to make. We just did a handprint on white cardstock paper and allowed it to dry. Once it was dry we drew a Grinch face on and I added red cardstock to the back. We laminated it once it was put together! There are so many fun ways to decorate a handprint or footprint ornament, but it's also cute to just let it be a plain handprint and/or footprint! I love to see how much my kids hands and/or feet have grown year to year. It's bittersweet! 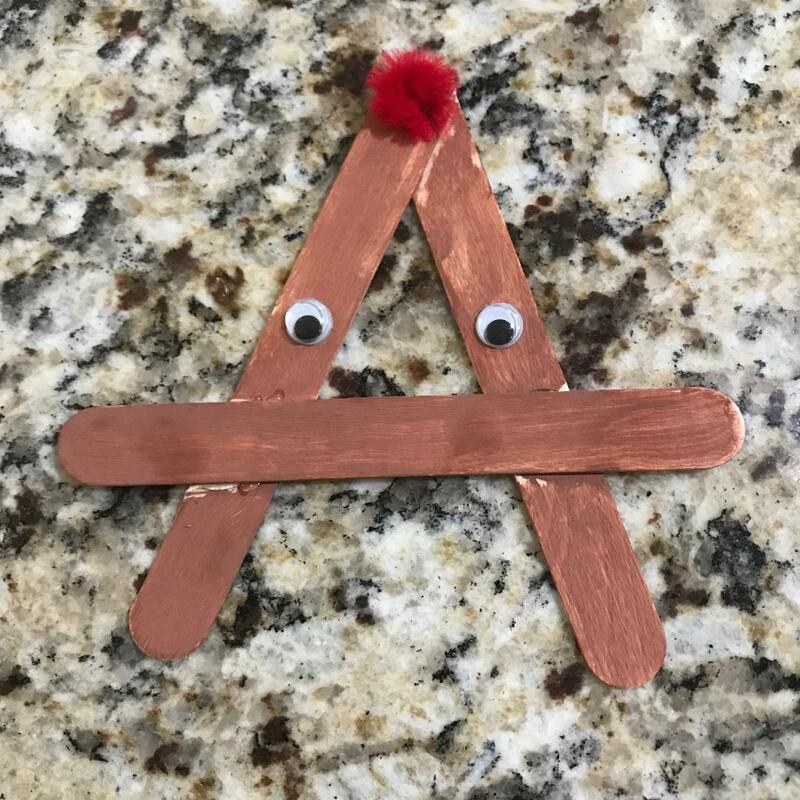 My son made this in preschool years ago and it's still a favorite. Paint popsicle sticks, let them dry, and then hot glue them together and add your finishing touches! 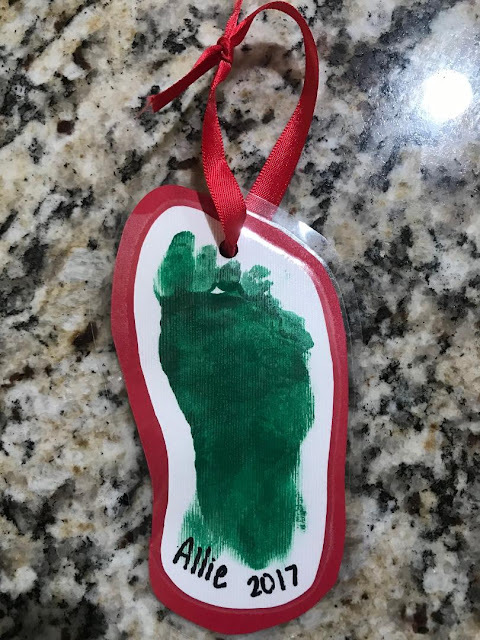 This is another ornament made in preschool and it is oh so cute! Add thumbprints all around the ornament and allow to dry. Then draw on antlers and faces! Last year my girls made this ornament in occupational therapy! It was such a cute activity. 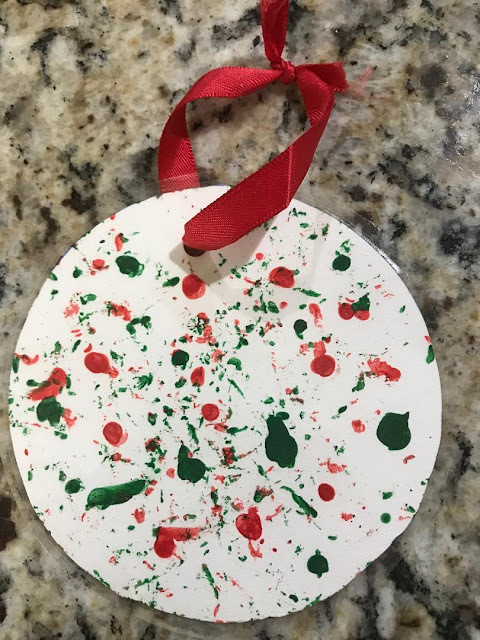 We laid a piece of white paper flat in a box, added some paint, and threw in some jingle bells. They held each side of the box and shook it back and forth, allowing the jingle bells to move freely in and out of the paint. Once it was finished, I let the paper dry and cut out circles to make ornaments! 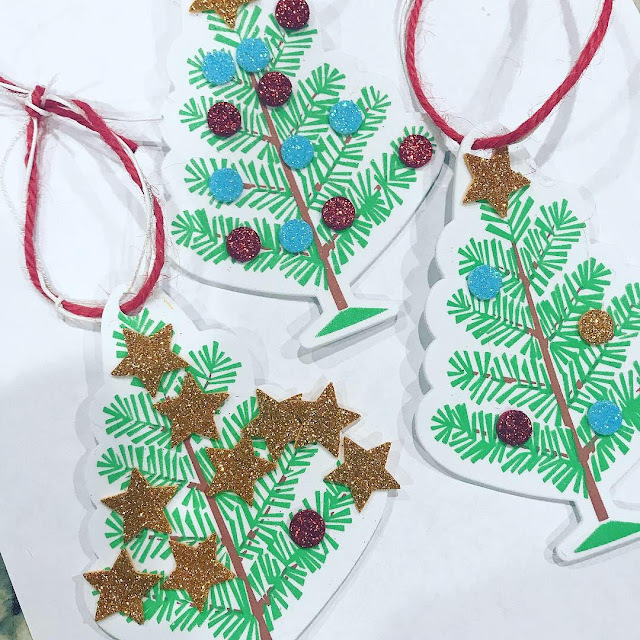 What are your favorite homemade ornaments? 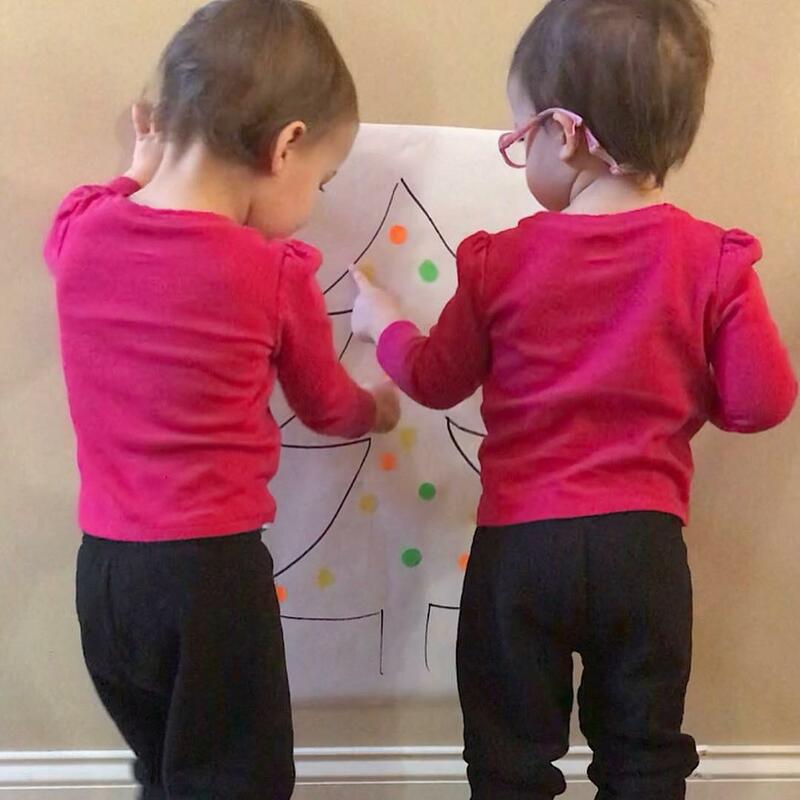 It's no secret that we use dot stickers often for multiple uses, but they aren't just for little ones! 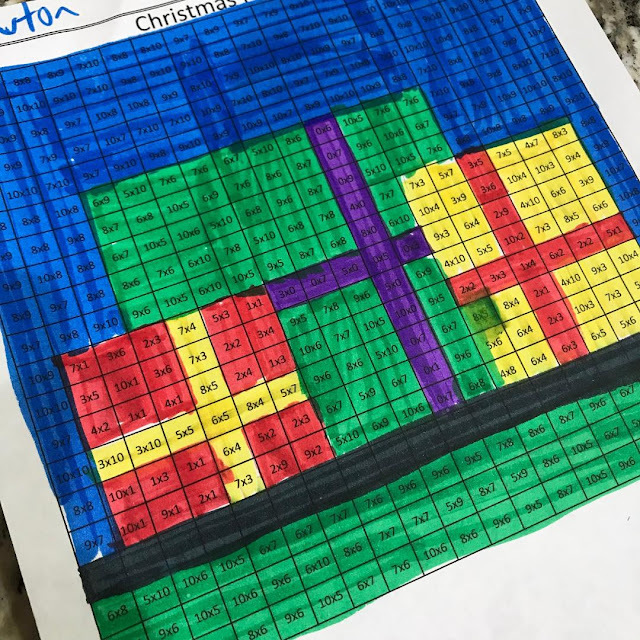 This week we did Christmas multiplication with my oldest. 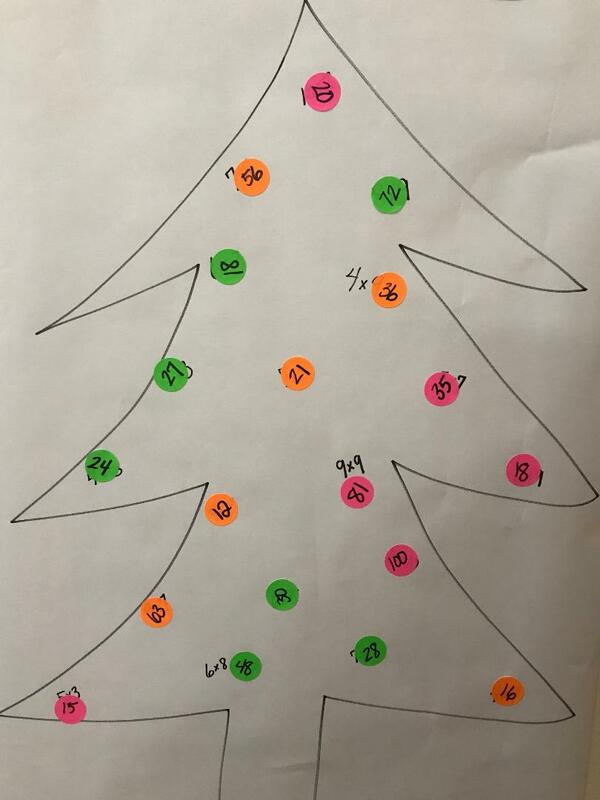 I drew a Christmas tree on a piece of craft paper and wrote basic multiplication facts (6x7, 8x9, 4x6, etc) on them. The answers were scrambled on dot stickers. My son solved the problem mentally and then placed the correct answer (sticker) on the problem. This was such a quick activity to put together and a FUN way to practice multiplication facts! 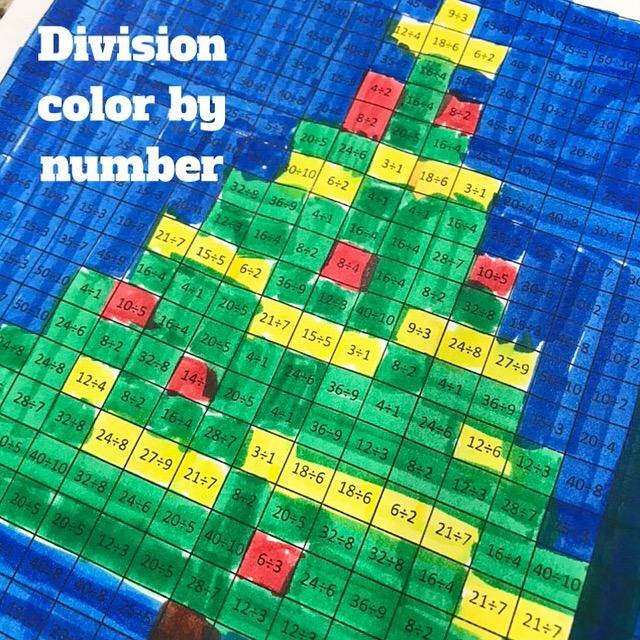 Another fun activity to practice multiplication (and division) facts are these color by number fact sheets! You can find these for FREE at Coloring Squared. Practicing multiplication and division facts doesn't have to be boring! 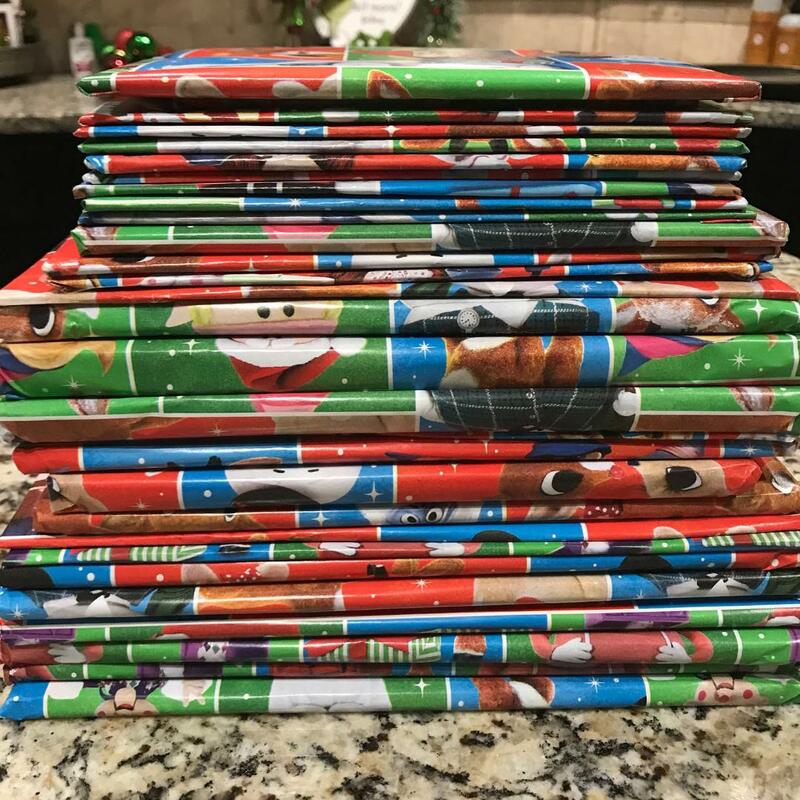 Make it festive and fun! 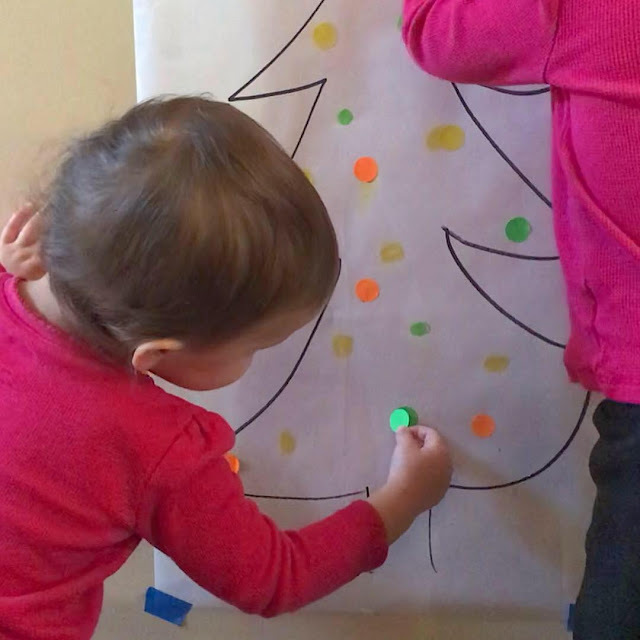 Susie over at the Busy Toddler always shares fun ways to use dot stickers. We love dot stickers and use them often. 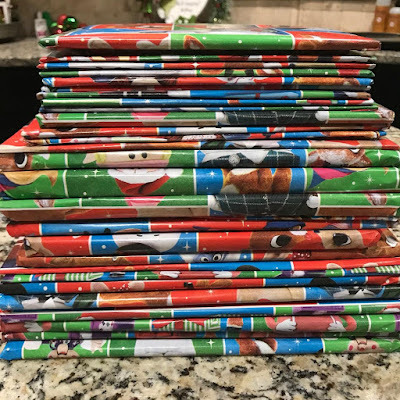 I even purchased a large pack for stocking stuffers this year for my littles. I used craft paper from our easel and taped it to the wall. I drew a Christmas tree and made yellow, orange, and green dots (those were the only color dot stickers I had at the time). 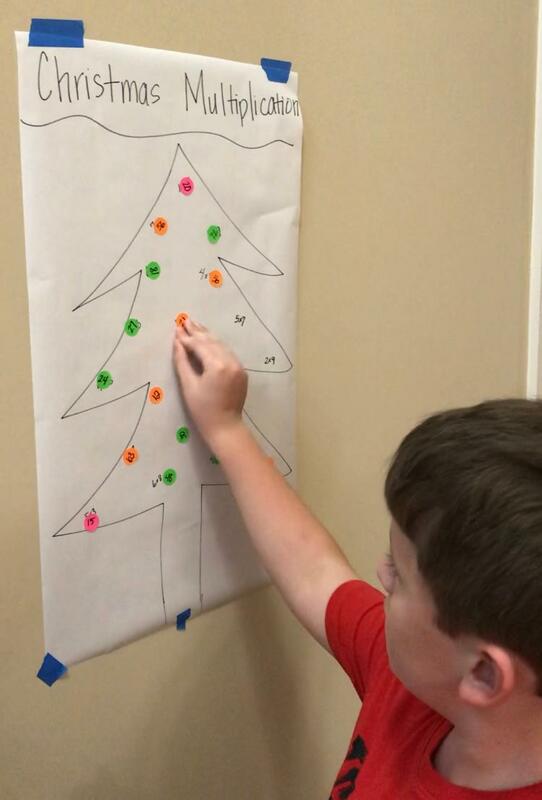 Our goal was to decorate the tree by placing dot stickers over the coordinating colors. 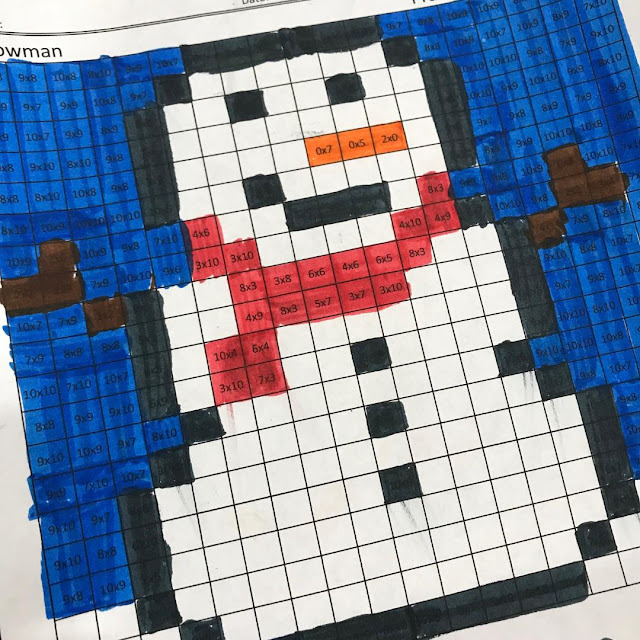 This was a great fine motor and visual scanning activity. We had a beautifully decorated tree at the end! 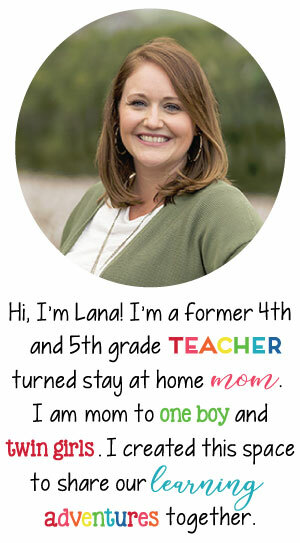 I love activities that are quick to put together and you get the most bang for your buck with skills being addressed! 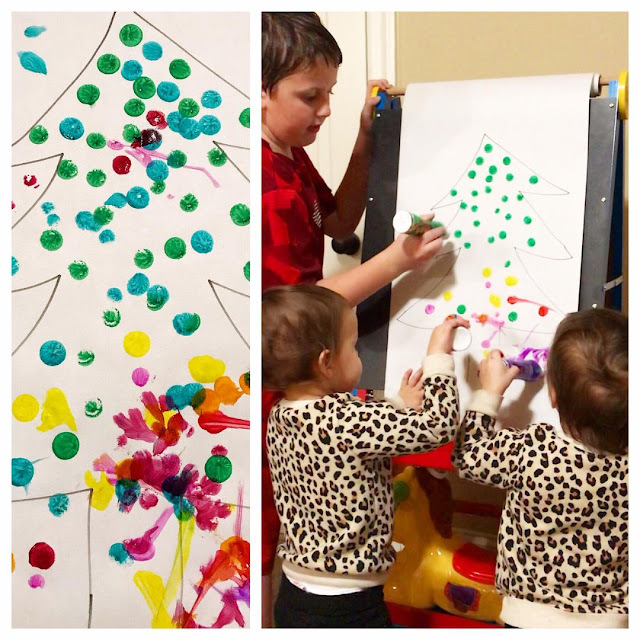 Do-a-Dot markers have been a favorite for all three of my children. Do-a-Dot markers are excellent for hand-eye coordination and visual scanning. My girls can't get enough of them! 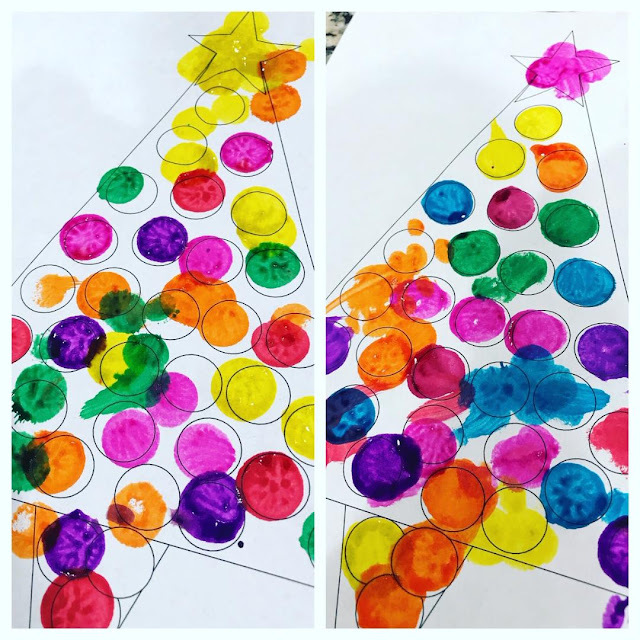 Today I am sharing two Christmas activities we did with Do-a-Dot markers. 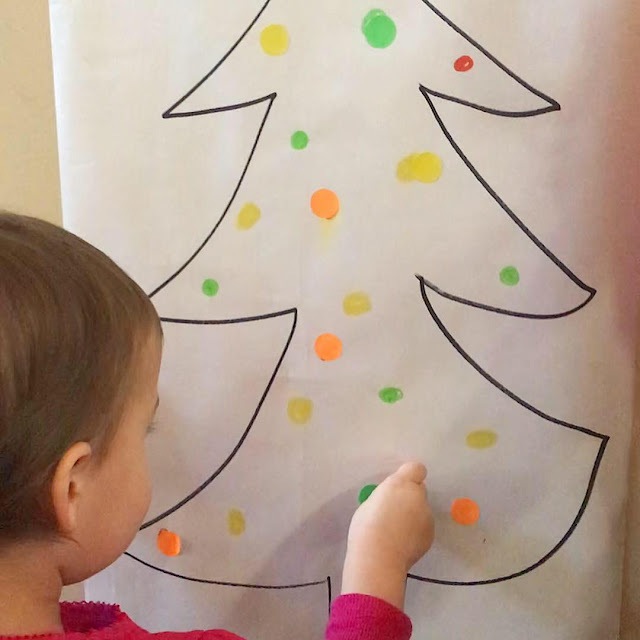 We recently decorated Christmas tree printables with them. I love how bright and colorful they turned out! It's a fun, festive decoration for our refrigerator now. I also drew a Christmas tree on paper and let the kids use Do-a-Dot markers to decorate it. They all enjoyed that. 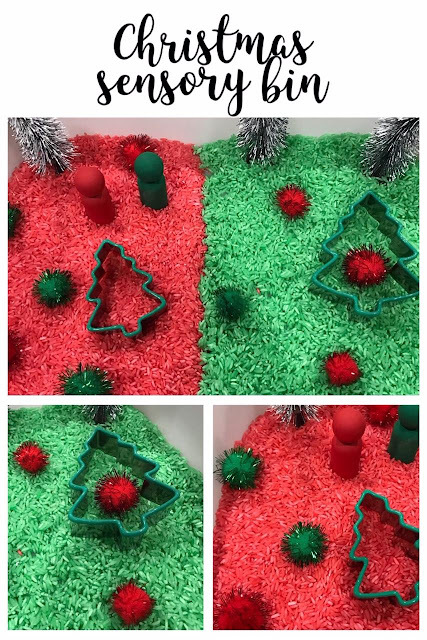 Yesterday I shared a Christmas sensory bin with you (click here if you haven't seen it). Today I am sharing another Christmas sensory bin. 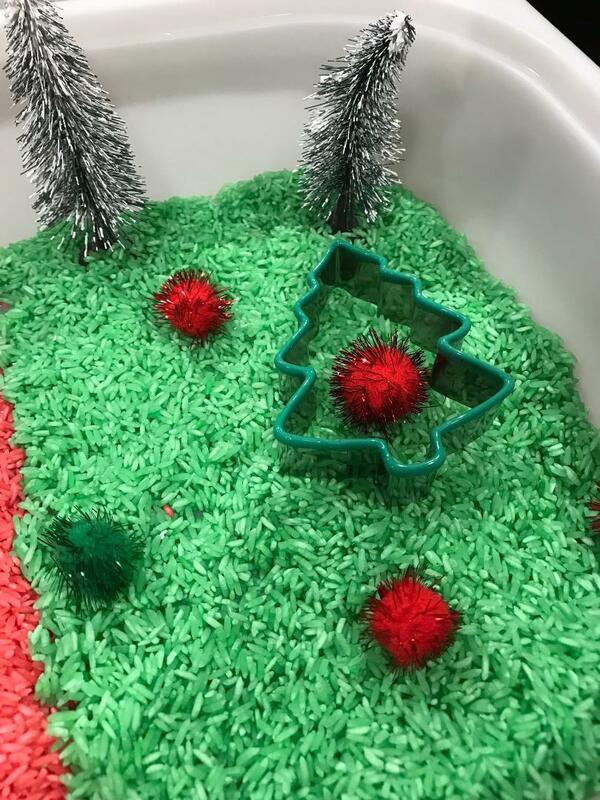 This sensory bin took only a few minutes to put together! Seriously so simple and quick! 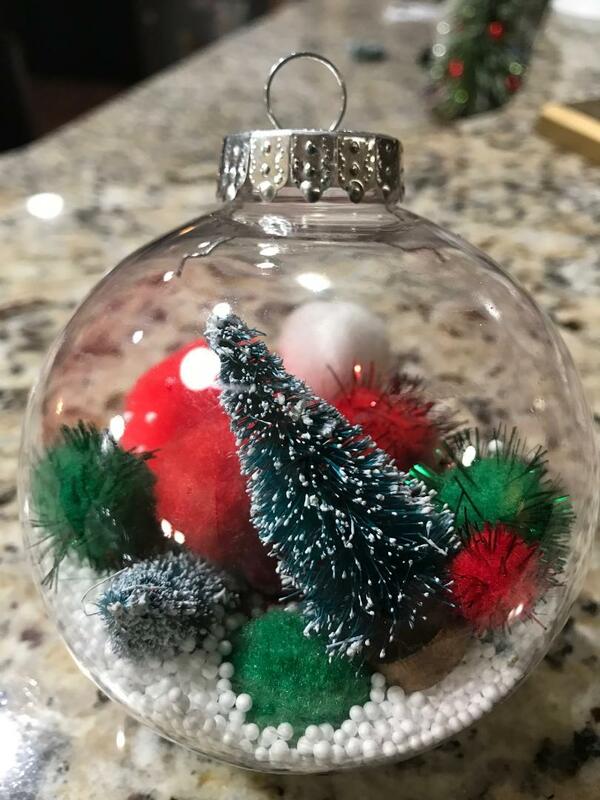 I used different types of pom poms for multiple textures. 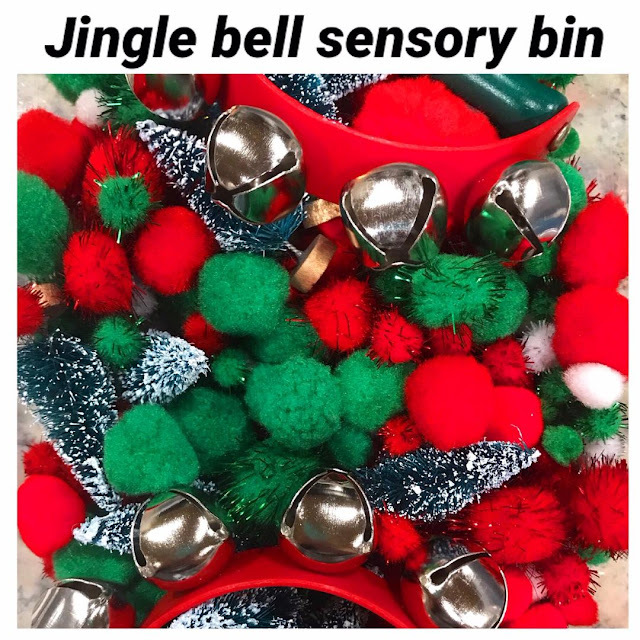 My girls loved the jingle bells the most in this sensory bin. These jingle bells have a handle which made playing with them lots of fun, but you could even add loose bells throughout the bin, too. 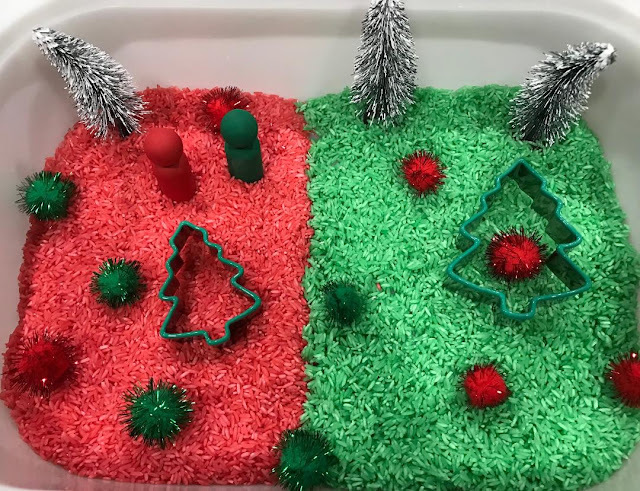 We are having so much Christmas fun the month of December and I wanted to share with you one of our Christmas sensory bins! 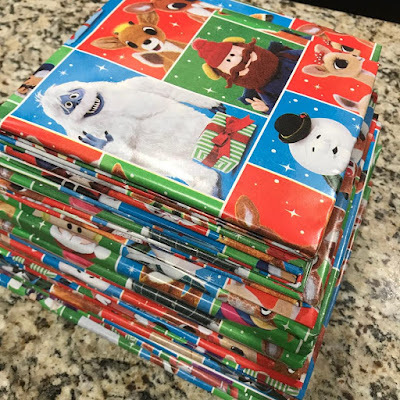 This was so easy to put together and my girls loved it. The beauty in sensory bins is that you can put whatever you like in them! 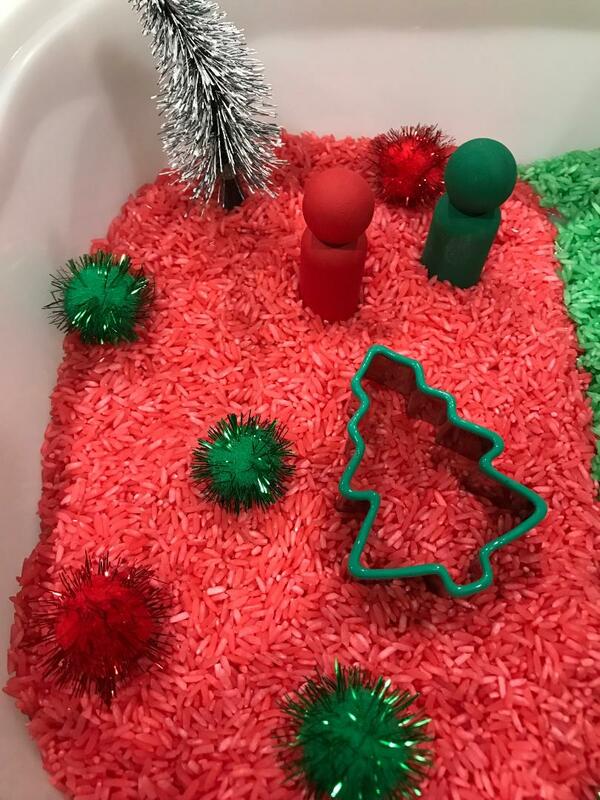 For this bin, I stuck with a Christmas theme and added some pom poms from the Dollar Tree, cookie cutters, peg people, and trees. My girls very favorite part of this activity was the Christmas tree cookie cutters. They loved putting it down in the rice and then filling it up with more rice. It was so simple to dye rice for this project. I used 1 cup of rice to 1 tbsp of vinegar with a few drops of food coloring. I added all of that to a gallon size bag, shook it up, and then let it dry flat on parchment paper. It is so easy to do! I recommend making multiple colors while you have the supplies out. After making this Christmas inspired dyed rice, I made rainbow rice using multiple colors and mixing them together. 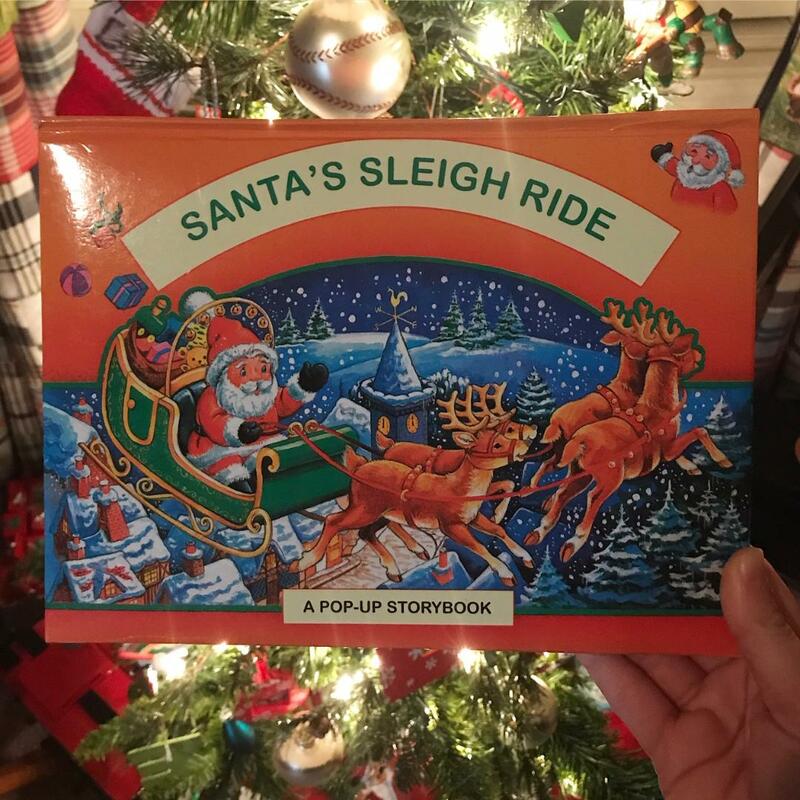 I have so many Christmas themed activities to share with you soon!